Get ready for a weekend full of great brands, DJ’s and a wide selection of local craft beers from FourPure Brewing. 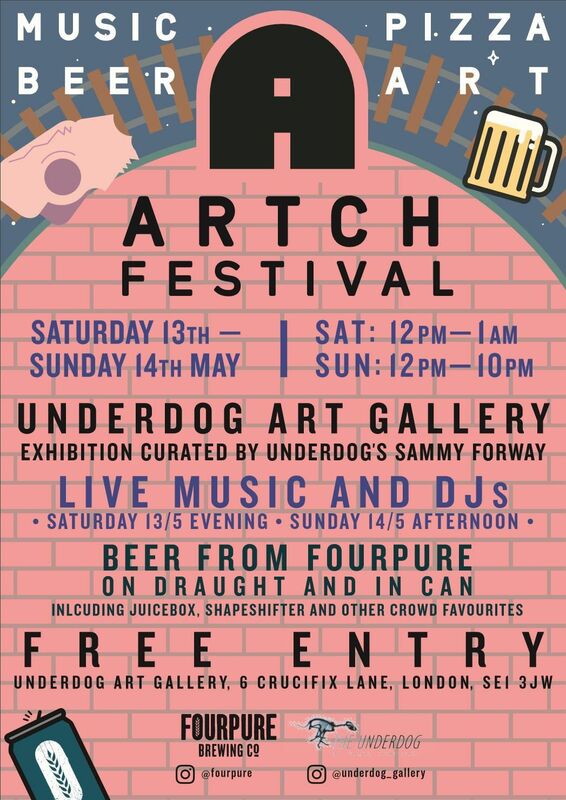 For two days, the Underdog Gallery will transform into the biggest party in the area combining some of the best modern art on the walls by Dangerous Minds Artists with live music, London craft beers. We will even serve pizzas for everyone who gets hungry!